Sometimes it isn’t going to be pretty. In fact, this one was downright ugly. 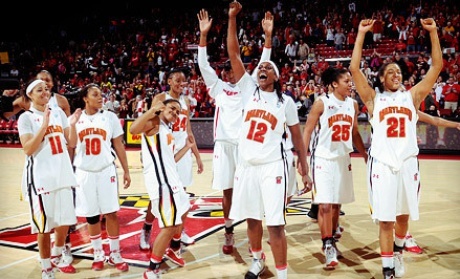 Nonetheless, it’s “Hats Off” to the University of Maryland Women’s Basketball Team. They defeated Louisville – AT LOUISVILLE – 76-73 to advance to the Final Four. 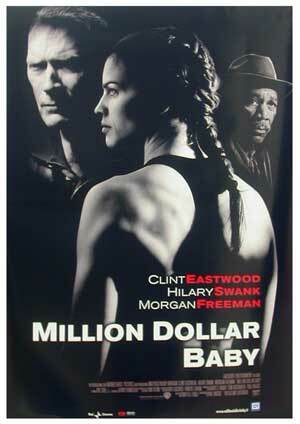 In the 2005 film, Million Dollar Baby, best actress Hillary Swank was taught how to win ugly by Coach Clint Eastwood. This acting duo is now sitting pretty as they won the film an Academy Award for Best Picture. But for now, it’s time to talk roundball. Winning pretty is what Brenda Frese, Maryland’s prolific coach, is used to. Yet she had to have gnawed off almost every fingernail in this white knuckle – nail biter, as she watched her team squander leads and squash opportunities right up until the buzzer sounded. She has amassed a terrific and talented team including an all American (Alyssa Thomas)and a freshman phenom (point guard Lexie Brown). Yet for all of their talent, they won this one the ugly way. This one wasn’t pretty. In fact, it was about the ugliest, unsightliness, most hideous looking win I’ve ever seen in my life. There were more turnovers and more bad shots than you could shake a stick at. But fortunately, they won. Unfortunately, the Lady Terps did it the hard way. They had double-digit leads they couldn’t hold, and manifold instances where they looked like they’d fold, but they held on to win. They held on and will move on to college basketball’s biggest stage. Sometimes it may be downright ugly. If we were being honest, we would admit the many of our wins haven’t been pretty either. Some wins are neat and tidy, and other wins are rumpled and ratty, scruffy and scrappy, shoddy and shabby – just like in life. Sometimes and some days we’re full of glitz and glamour; other days and in many ways we’re nothing more than clutter and clamor. But at the end of the day, we can rejoice because in Christ we are sitting pretty. Sometimes you win messy. And sometimes you win clean. But you win. Some of our most memorable clashes are costly, and some of our biggest parades are Pyrrhic. Yet all conquests don’t have to be cute; and all wins don’t have to be winsome. Sitting pretty doesn’t require winning pretty. Sitting pretty means that you make it but you didn’t necessarily deserve it. Jesus’ death on the cross was an ugly win. It was a bloody brawl and a sordid slugfest. But our Savior won! The cross, the emblem of suffering and shame, is now the symbol of victory. Because our Lord was willing to win ugly, we are privileged to sit pretty; we are saved, healed, delivered, set free, and sitting pretty in Heavenly places in Christ.